The two men actually look like brothers here, which is not always the case in the actual film. Certainly thanks to their arms and legs. The two strongmen always seemed to compete with each other over who had the smallest waistline. 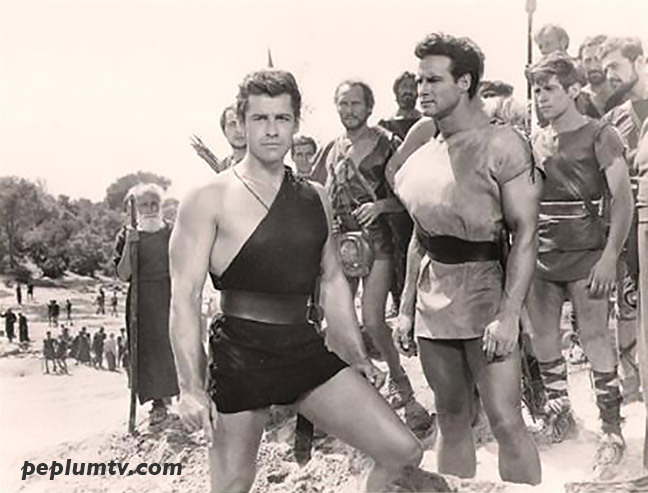 The David Beckhams of Antiquity!